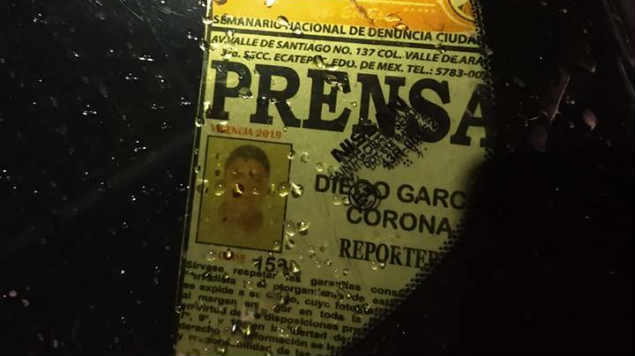 Journalist Diego García Corona, a reporter for the weekly Morelos, was murdered while driving in his car near the Colonia Jardines de Morelos, in the municipality of Ecatepec, State of Mexico. Radio Fórmula reported that the 35-year-old man was riding aboard his Nissan Tiida red car when he was intercepted on Wednesday night by a group of armed men, who shot him at point-blank range. The facts were recorded at the corner of Playa de Marquelia and Avenida Jardines streets in the aforementioned municipality. Local media spread the news on social networks. 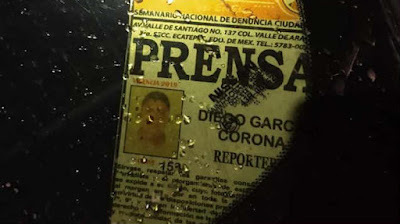 After the attack, the aggressors escaped, while the communicator's body was left inside the car, where a credential was found that accredits him as a reporter for the local newspaper Semanario Morelos. The neighbors, warned the authorities that, after witnessing the event they surrounded the vehicle waiting for the personnel of the Attorney General of the State of Mexico (FGJEM). The agent of the Public Ministry ordered the removal of the car that with the body inside was taken to the facilities of the Forensic Medical Service (Semefo) in the center of Ecatepec, with the purpose of carrying out the necropsy of law and to initiate the corresponding investigations. The Office of the Public Prosecutor of the State of Mexico will conduct the investigations of this crime to find those responsible and apply the law. It is worth remembering that three days ago another communicator was murdered, his name was Jesús Alejandro Márquez, the events occurred in Nayarit. Left: Jesús Alejandro Márquez found lifeless near a cane field near Tépic Nayarit. See our Post from Dec 3. Meanwhile, the Association of Displaced Journalists, said in a video message that the attacks against their partner are not acceptable, that the worst crisis of violence against reporters is going on and that there is not a single corner of Mexico where they do not commit crimes. "Not only do we condemn the death of reporter Diego García Corona, murdered this morning, we condemn the inexistence of justice, in a country that is convinced every time it needs to be reborn." Don't know where journalists are killed more, in war torn countries or Mexico? Can someone with knowledge give input? last week news outlets mistakenly reported the December 1 killing in Tepic as the 5th this year. it is actually with this one the 11th. 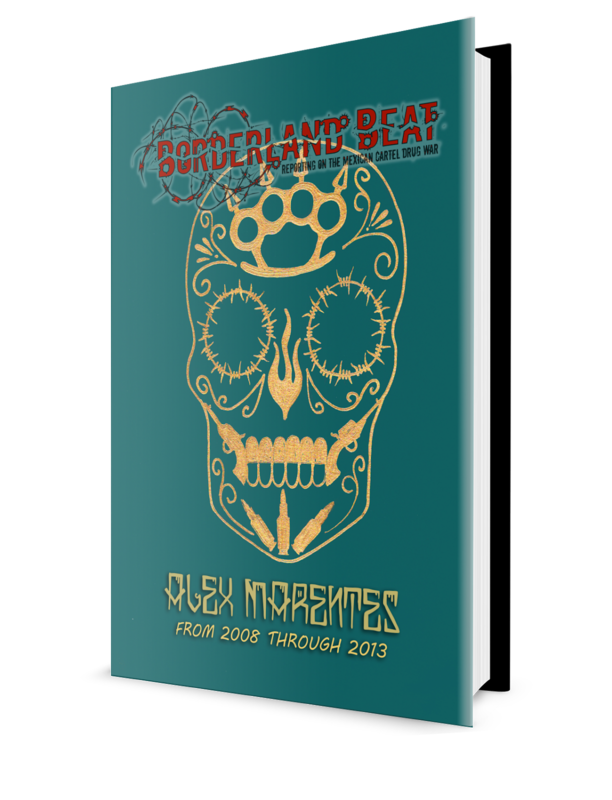 Mexico by fr is the deadliest place of reporters in the western hemisphere with over 100 reporters killed since 2000. This year the death toll leader is Afghanistan with 13 killed. There are others but not verified to be because of their journalistic work. that is the criteria. 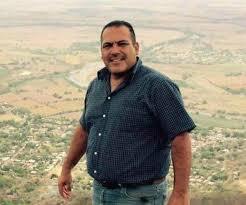 PS Mex also reclassifies deaths of journalists where possible. I recall a case where one in the state of Mexico was said to be death from vehicle accident. but the poor guy had two bullet holes in his head. this happens across the board in mx to keep murder numbers down. I figured the numbers from CPJ’s database were skewed but that shits insane. Like many places where the numbers of homicides have their own criteria to officially be classified as such. Congress de Mexico, at one time promised body guards for journalist. But since no money developed for thier pockets, they did nada. Was only said to quiet the masses of those who clearly wanted justice. Moreover, under an old regime who really represented criminals. Maybe now things will take different and more effective approach to security concerns for journalists. However, we must be realistic about the murder of any journalist anywhere. A profession which entails the exposures of unsavory behavior and characters, which will put them at risk. Do I need to remind the killing of the Saudis reporter? 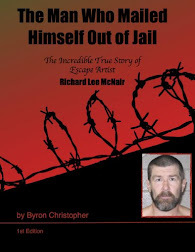 Despite the gruesome recordings of his death justice is being overlooked by money. Rather, people of money and business interests. Interesting is the Mexican supreme court is blocking AMLOS government salary caps. Guess a $29000 a month salary is not in many's liking. Like many political positions globally who rely on feeding their pocketbooks than serving their constituents. 503 is $29000 in pesos, or US dollars???¿???? Off topic but does anyone know about the allegations that tekashi 69 is being managed by Chapos nephew, Jose Avila? A bunch of fucken cowards killing innocent people. That's the truth.